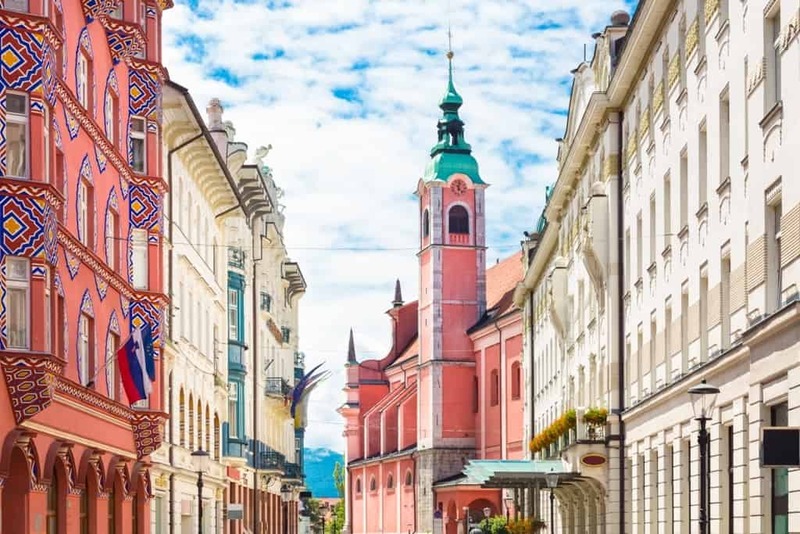 As Slovenia’s capital and largest city, Ljubljana is a bustling place that offers many intriguing attractions for everyone to enjoy. Recently, I was able to spend two days in this amazing city experiencing everything it has to offer. 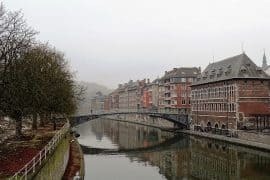 I was able to wander down historic streets, explore castles, and even take breathtaking boat tours around the city’s rivers. 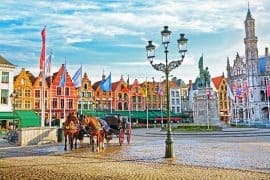 If you’re planning to visit this city, this article will list some great things you can consider doing while here. 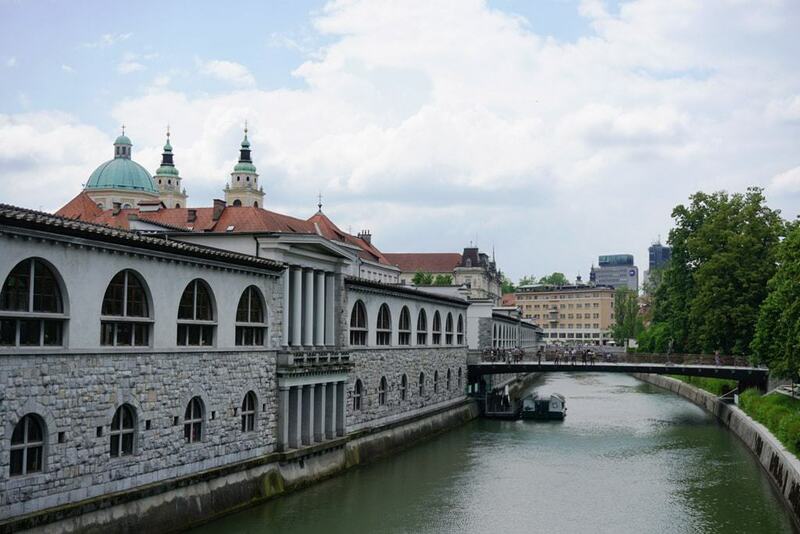 Triple Bridge is just one of the numerous bridge structures that grace the city of Ljubljana. Made up of three different walkways next to each other, it was designed in the mid-1800s by Jože Plečnik. It features stunning stone pieces, a beautiful landscape, and a few small shops on it, like a flower kiosk where you can buy fresh flowers. Dragon Bridge is well-known throughout this city for many reasons. The first being that it’s one of the largest concrete bridges in Europe. Besides its size, the bridge is also known for its connection to dragons, hence its name. 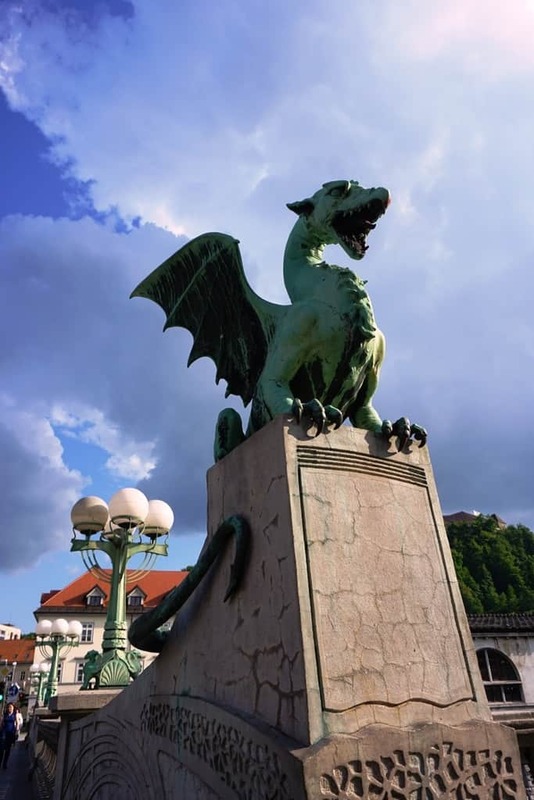 It’s home to over four massive dragon structures which pay homage to the local Ljubljana dragon myth. These statues show a fierce dragon with its mouth open as if it’s about to blow fire. In addition to these historic art pieces, the bridge also features beautiful lanterns lining it making it the perfect place for a late evening stroll. 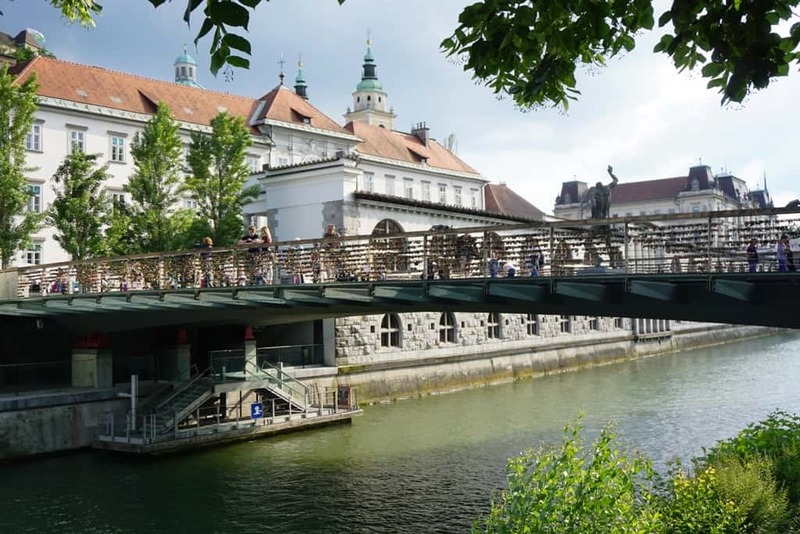 Butchers’ Bridge is a small bridge, built in 2010, that spans across the local Ljubljanica River. Its purpose is to connect the nearby Petkovšek Embankment to the Ljubljana Central Market. However, Butchers’ Bridge isn’t just an efficient way to get around, it’s a place where lovers often travel to in order to express their love for each other. You’ll find that many of the bridge’s side gates are covered in padlocks that lovers put on it to show their everlasting love for each other. 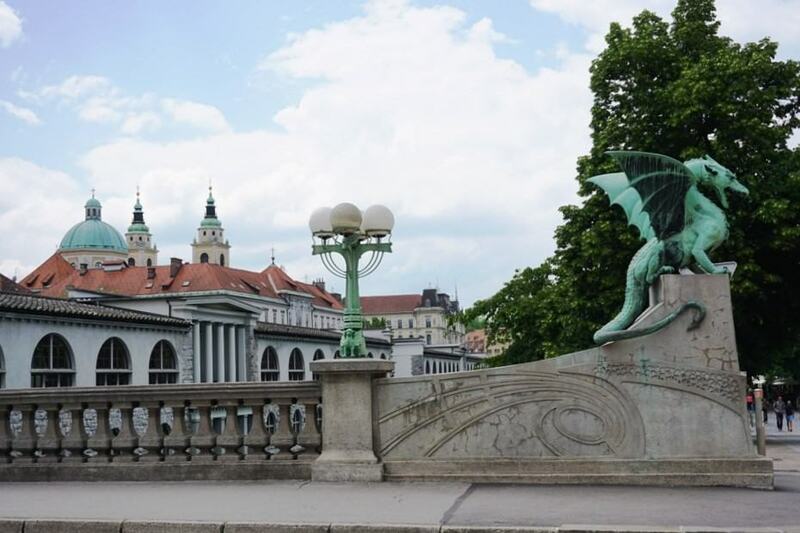 Besides the padlocks, Butchers’ Bridge is also known for its unique statues depicting strange creatures created by the sculptor Jakov Brdar. Cobblers’ Bridge was built during the early 1930s by Jože Plečnik in place of a former wooden bridge that connected the city together. The bridge was once known for being a major gathering place for cobblers, which is why it was named this. One of the most remarkable things about this bridge is it towering columns that line that side of it, many of which hold lanterns that are turned on during the night. The majestic Ljubljana Castle towers over the city. It was once an important center during medieval times, but now serves as a museum and entertainment center. You can take guided tours of this beautiful structure and climb up the ancient towers that once served as lookouts, as well as view its prison, chapel, and puppet museum. 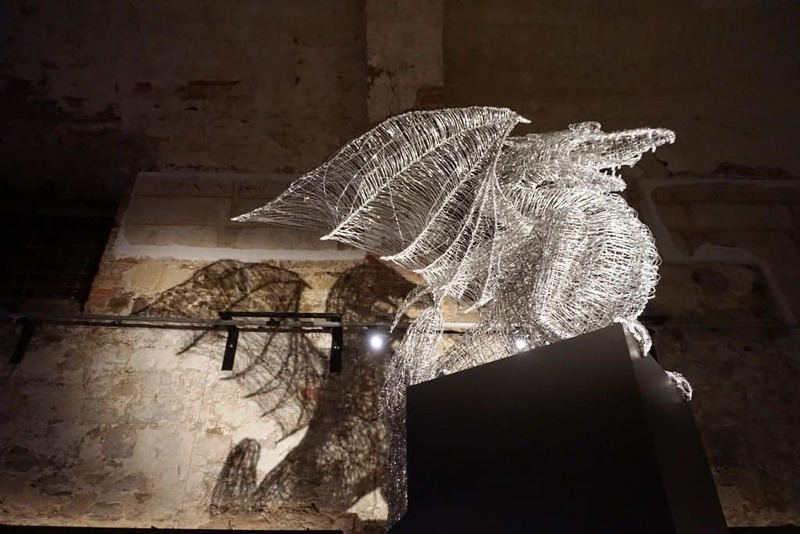 The castle is also home to many different exhibitions that explore the history of it as well as some local legends, like of the Ljubljana Dragon which is said to have once haunted the nearby Ljubljanica River. 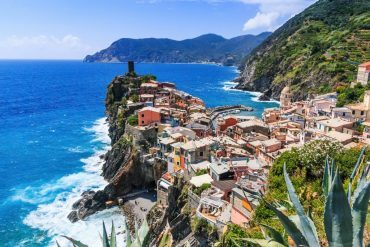 You can also view other attractions its grounds have, like the funicular railway which transports visitors up a steep hill or stop by its restaurant which serves amazing native dishes. 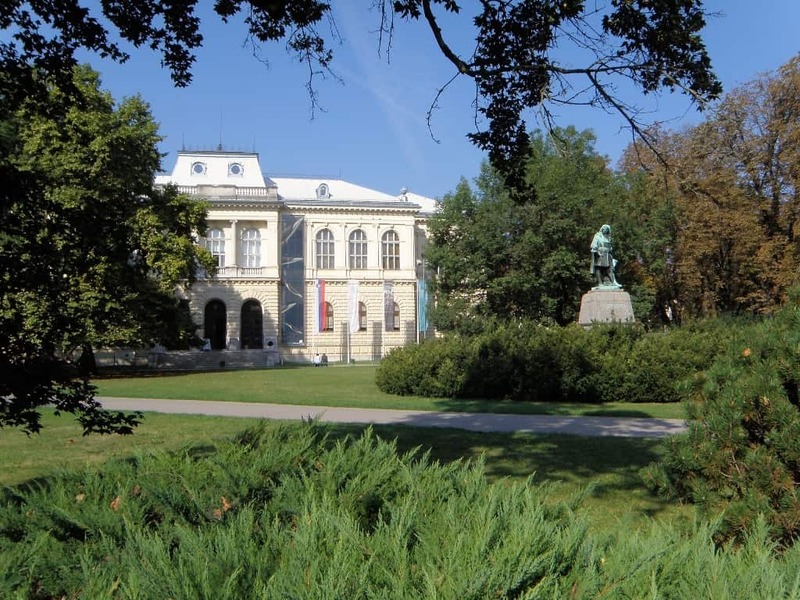 The National Gallery of Ljubljana is a massive art museum that features numerous pieces from artists throughout history. 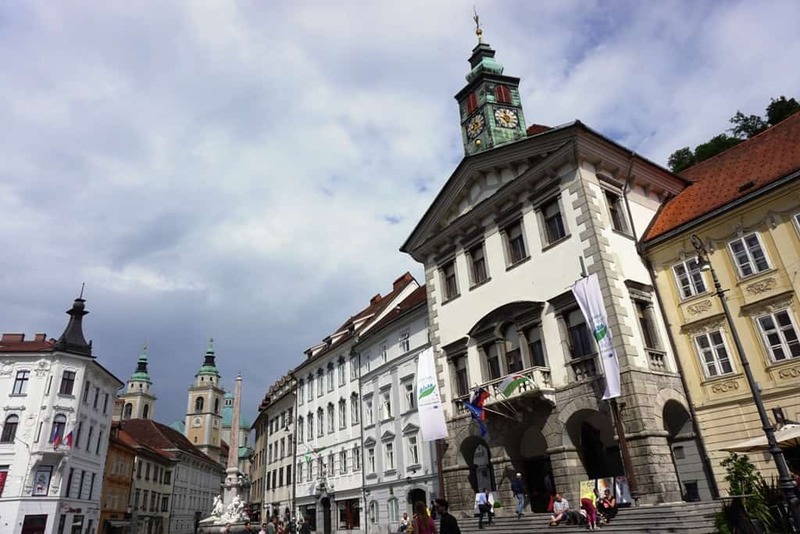 It holds art from as early as 1200 and showcases many famous Slovenian artists. The gallery also holds many exhibitions throughout the year as well as concerts held in its halls that play classical Slovenian music. If you enjoy modern art, you’ll love this museum. The Museum of Modern Art in this city showcases modern pieces of art from local and nationwide artists. 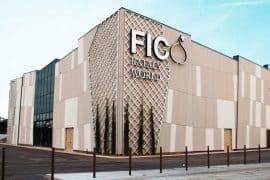 It hosts many exhibitions throughout the year as well as a large library you can use to learn more about the modern art pieces in the museum. There’s also a bookstore you can browse through to find some art books you can buy. 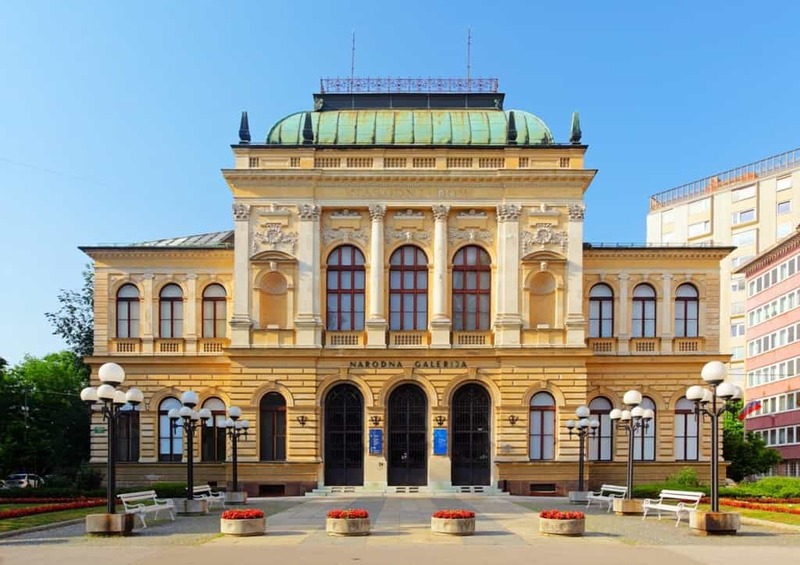 The National Museum of Slovenia tells the intricate story of this country with various artifacts found throughout its land. It also houses many items from throughout the world in its halls. The museum is home to many unique artifacts, like the Neanderthal Flute, one of the oldest musical instruments in the world. In addition to viewing the various exhibitions inside, the museum is also home to a shop and library visitors can browse through. 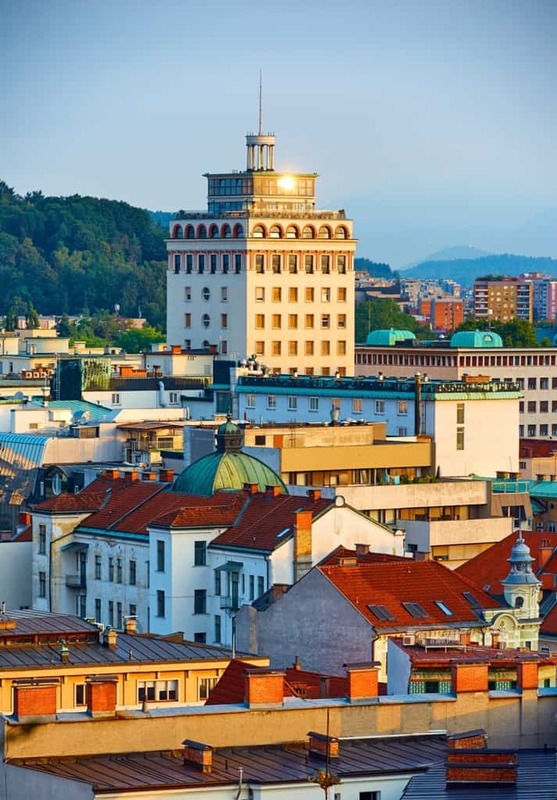 Created in 1935, the City Museum of Ljubljana was created to help showcase the spectacular history of this city. Situated in the old Auersperg Palace, it holds many artifacts from throughout the history of Ljubljana to help better tell its story. The museum is home to over 200,000 items, such as the world’s oldest wheel, all of which are placed throughout the four stories of this museum. Once you’re done exploring it, you can stop by the museum’s restaurant for a quick bite to eat or stop by the museum’s store to buy a souvenir. 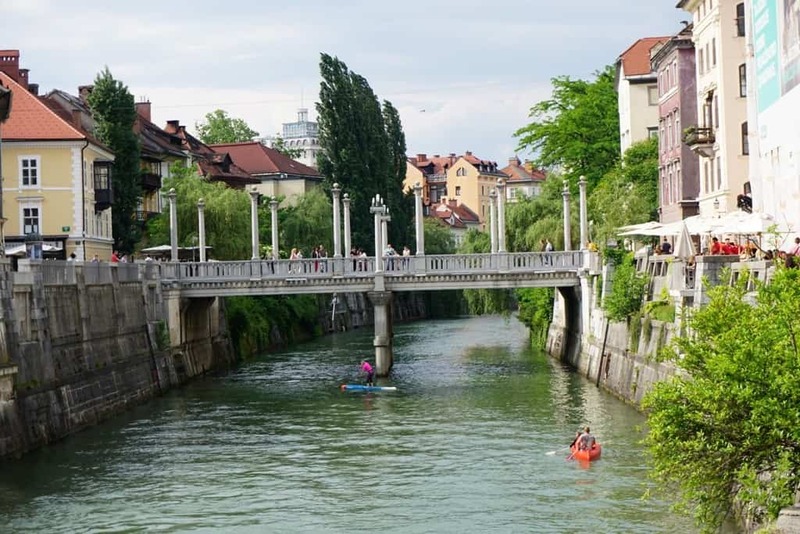 This place is one of the liveliest sections in Ljubljana thanks to its emphasis on education, culture, and art. The colorful buildings here each offer many unique galleries, cafes, movies, and even a hostel where guests can stay at. The area features festivals, poetry readings, and many other creative things throughout the year you can enjoy. 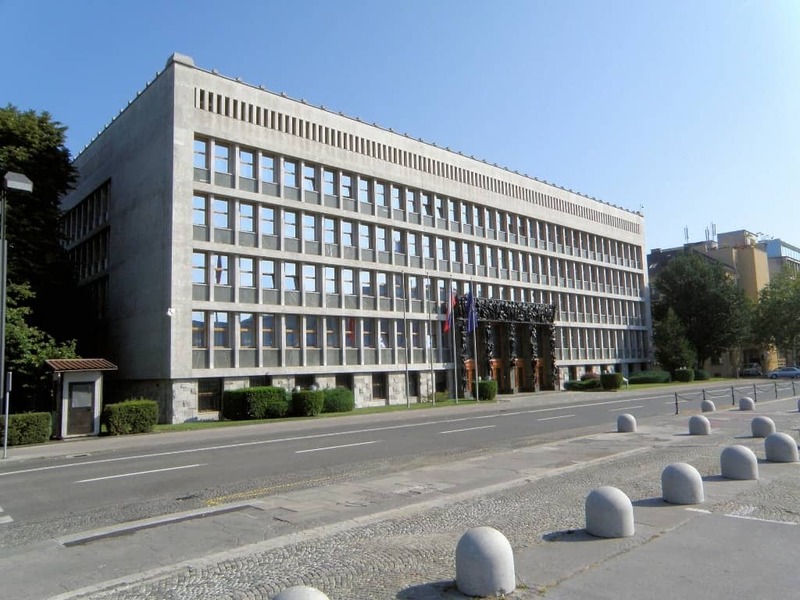 Designed by the famous architect Jože Plečnik, the National and University Library of Slovenia has a vast amount of beautiful architecture, rare collections of books and artifacts, and stunning pieces of art. The library offers tours of its interior so you can learn more about its intricate history. 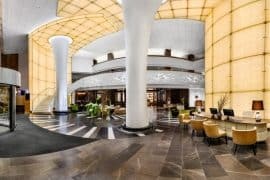 As you’ve read with many of the places in this article, they were often designed by famous Slovenian architect Jože Plečnik. 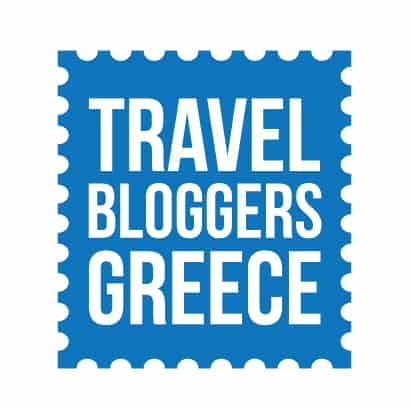 At the Plečnik House, you’ll be able to learn more about him. The house is where this former architect once lived and is preserved to exactly how he had left it. You can tour the house to learn more about his life as well as his works with various exhibitions scattered around it that include photographs, artifacts, and even his sketches. Tickets are necessary to get in, so if you’re interested in visiting here be sure to reserve them ahead of time. This is the central square of this city and is an important spot where many festivals and other activities take place throughout the year. You can walk around it and view the historic buildings that line the streets all of which have a very rich history. You’ll also find many statues here created by Slovenian artists as well as pathways that line the Ljubljanica River you can walk on. As one of the main squares in this city, Congress Square is packed with history. While exploring it, you’ll be able to see Baroque-style buildings, the Provincial Mansion where the Congress once held meetings, and many other interesting spots. You’ll also find some of the remains of a former Roman Emona which served as a burial ground centuries ago. Known locally as Trg Republike, this square is home to many political buildings. You’ll find the Slovenian Parliament located here and can even view the exact spot where Slovenia declared its independence in 1991. 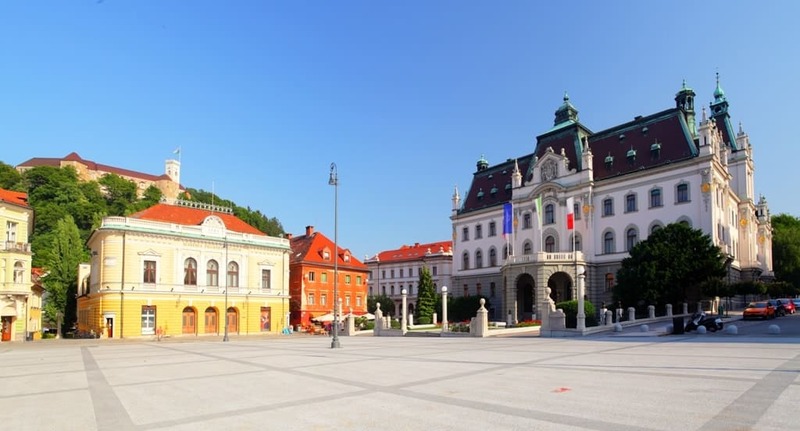 The square is also known for being an archeological hotspot as many ancient artifacts have been found here during construction work, like Roman coins and the remains of a former Roman Emona. Also known as the Ljubljana Cathedral, this magnificent structure showcases beautiful elements of Gothic architecture. The cathedral has gone through many tough times throughout history, such as being burnt down in the late 1400s. Today though, it serves as a museum where you can walk around inside and learn more about its history as well as the city it is located in. One of the biggest highlights of it you’ll find is its dome which features stunning frescos. This interesting place serves as both a monastery and church. It easily stands out in the square it’s located in due to its light red, almost pink, exterior that features white accents. The structure was built back in the 1400s and feature plenty of unique historical pieces inside, like colorful frescos and a copper statue of the Madonna, one of the largest of its kind in Ljubljana. Both the monastery and church are connected together so you can visit both while here at the same time. 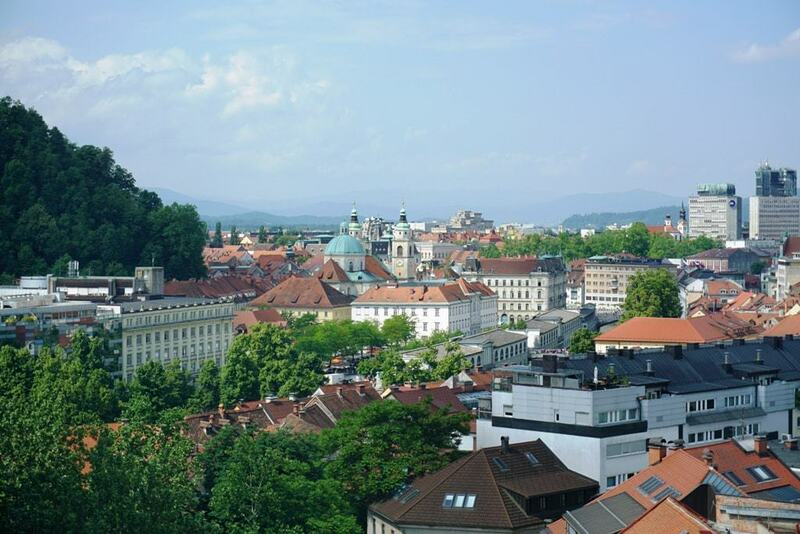 Ljubljana’s Old Town is certainly a sight any visitor to this city needs to see. The Old Town is filled with architectural marvels like cathedrals and picturesque bridges. You can wander around the various streets, all of which will take you to different shops, restaurants, and other hidden gems. 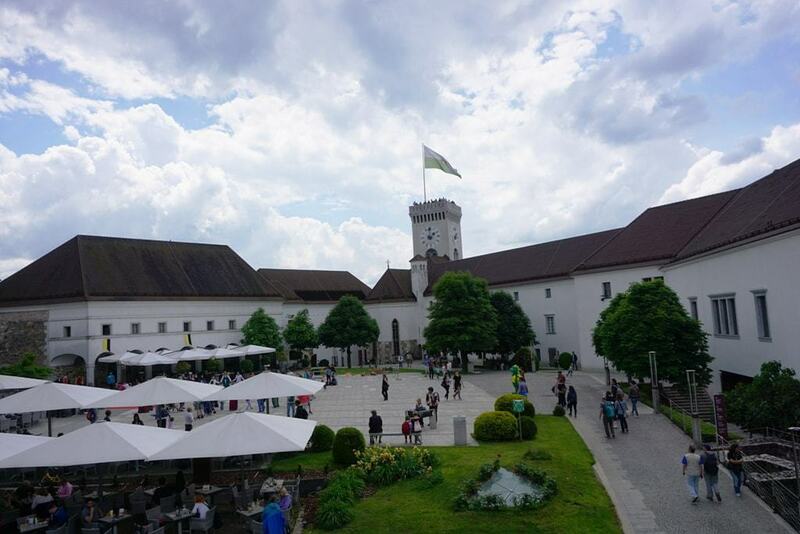 You’ll even be able to get a glimpse up at the magnificent Ljubljana Castle that sits up on a hill above the town. 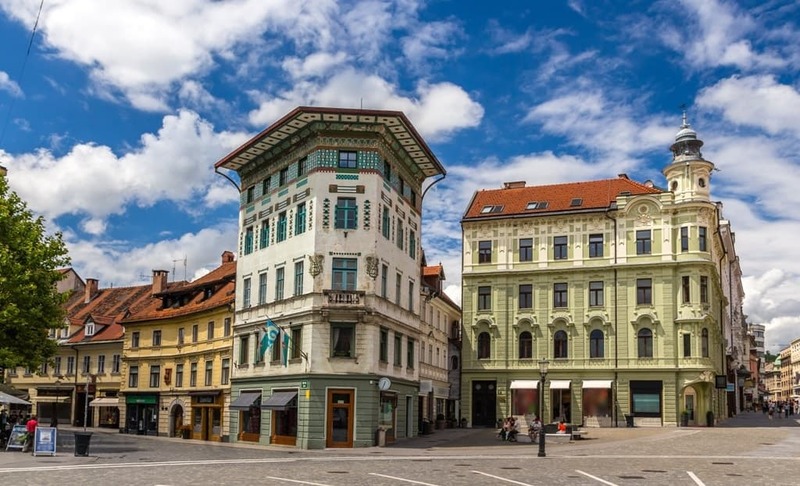 Another great thing you can do in Ljubljana is to visit the Art Nouveau Buildings on Miklosiceva Street. The street is packed with interesting buildings that features beautiful designs you can’t find anywhere else in the world. One place you should definitely consider while here is the Vurnik House or the Cooperative Business Bank Building. You’ll easily be able to spot it on the street thanks to its peach-colored exterior and windows that are adorned with various designs of red, blue, and white lines. 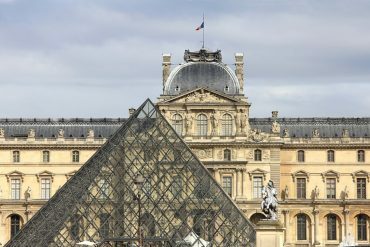 It was created in 1921 and features a breathtaking architecture which anyone visiting this city must set aside some time on their trip in order to see. The Town Hall is where much of the modern political happenings in Slovenia take place. The hall was built back in 15th century and features a dazzling architecture that has slight hints of Venetian influence. The Town Hall has exhibitions inside you can view, like the Glass Atrium, as well as tours you can sign up for. The tours will take you around the interior of the building as well as the exterior of it and point out some interesting facts about the Town Hall, like the various fountains that surround it and its stunning courtyard. While on a tour you’ll also be able to view some secret rooms that aren’t open to the public. 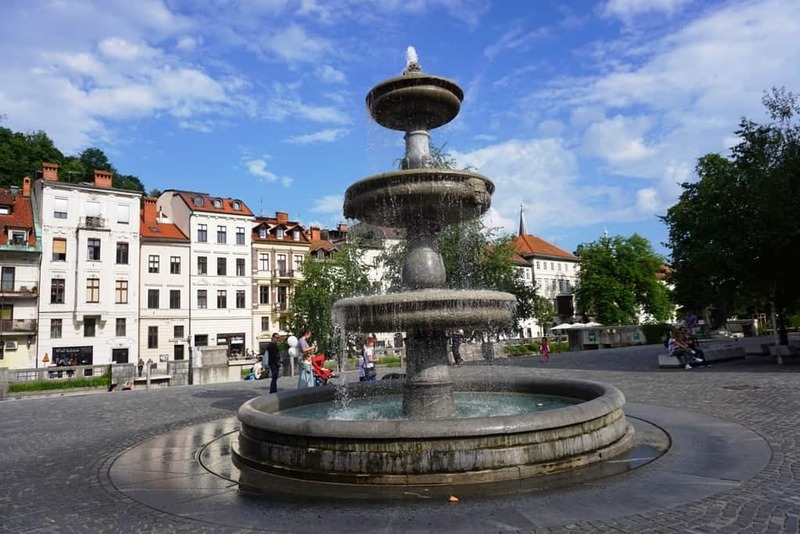 The Robba Fountain, also known as the Fountain of Three Carniolan Rivers, is a famous Baroque-style fountain in this city. Designed in 1743 by Francesco Robba, it was created as a way to pay homage to ancient Roman fountains. 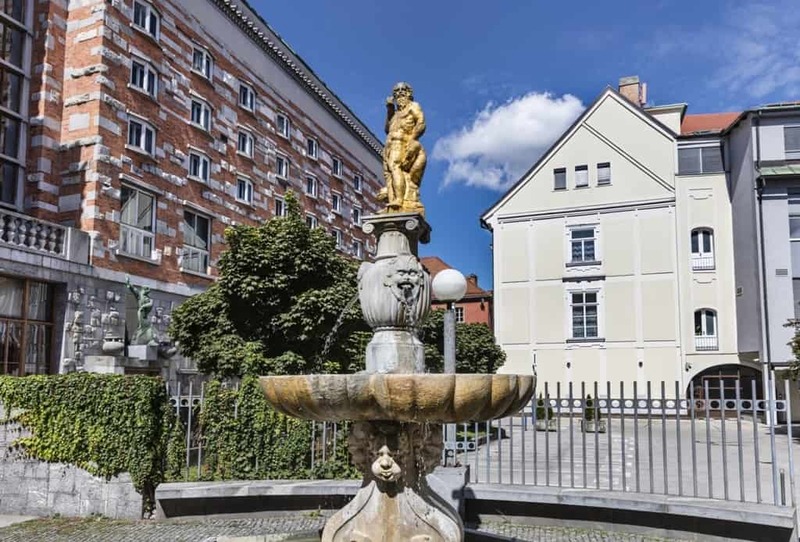 On it, you’ll find three sculptures of the river gods which are believed to represent the three Carniolan Rivers that flow through Ljubljana. The Central Market is the perfect place for visitors to buy local goods and meet people. The market covers over two squares, so it contains quite a bit of things to do and see. While here, you’ll find fresh flowers, fruits, vegetables, cheese, nuts, and even homemade olive oil. You’ll also find a few small shops that sell fish and meat. The market is known for its emphasis on local culinary culture, so if you’re interested in learning more about it, definitely visit this place. Tivoli Park is one of the largest parks in this city. It has been around since 1813 and is known for its wandering pathways that meander around ancient Chestnut trees and fragrant flowers. You’ll also find plenty of walking trails you can explore that will take you by stunning outdoor art pieces and near native wildlife habitats. 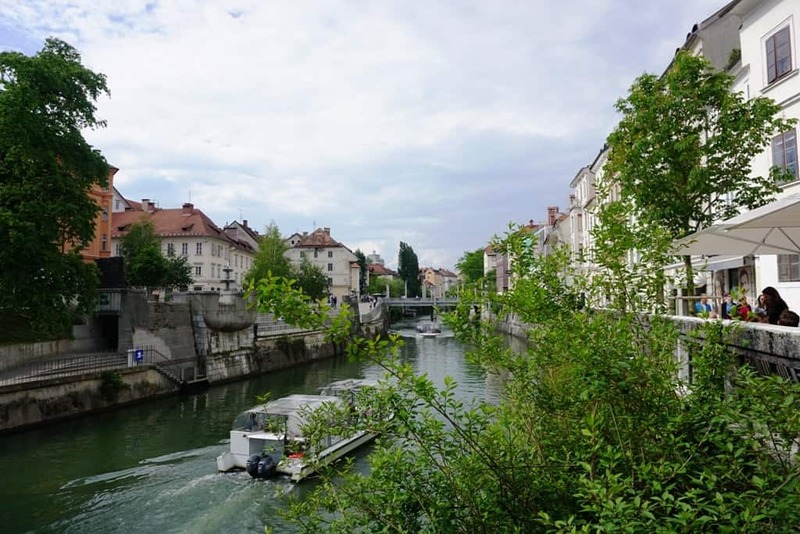 A wonderful way to explore the city is by a boat tour on the Ljubljanica River. There are numerous boat tours you can take, all of which will give you a stunning tour of the city. Ideally, you should reserve your seats a day ahead of time to ensure you have enough space on the boat. Tickets are necessary though regardless if you have a reservation or not and the rides usually last about one hour. Besides walking, another excellent way to get around this city is by renting a bicycle. There are plenty of local shops where you can do so. You can take your bicycle around the streets while the wind blows through your hair as you gaze at various attractions. It’s truly a remarkable experience that you won’t forget. The Skyscraper is one of the tallest structures in Ljubljana. It was originally designed to hold shops and cafes, something it still does to this day. At the very top of it, you’ll find a café where you can sit and look out the clear windows while enjoying a steaming cup of coffee or freshly made drink. At night, it turns into a lively nightclub visitors can enjoy while getting amazing views out at the city below. One thing everyone in Ljubljana needs to do is try the roasted almonds. These freshly roasted nuts have a crisp flavor and are harvested locally from farms. They have a delicious crunch and are sometimes flavored with various spices which are sure to make your mouth water. 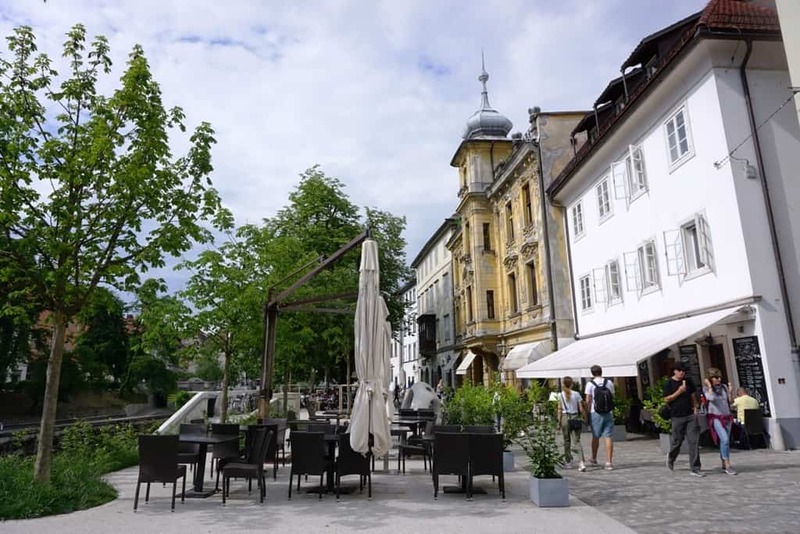 If you’re looking for a way to unwind during your trip, what’s a better way to do so then enjoying a fresh coffee or drink by the Ljubljanica River. You’ll find plenty of spectacular cafes alongside the river that sell delicious cups of coffee from freshly roasted beans. You’ll also find a few bars you can get some refreshing drinks from and sit by the riverside with them while watching boats peacefully wind their way down the river. 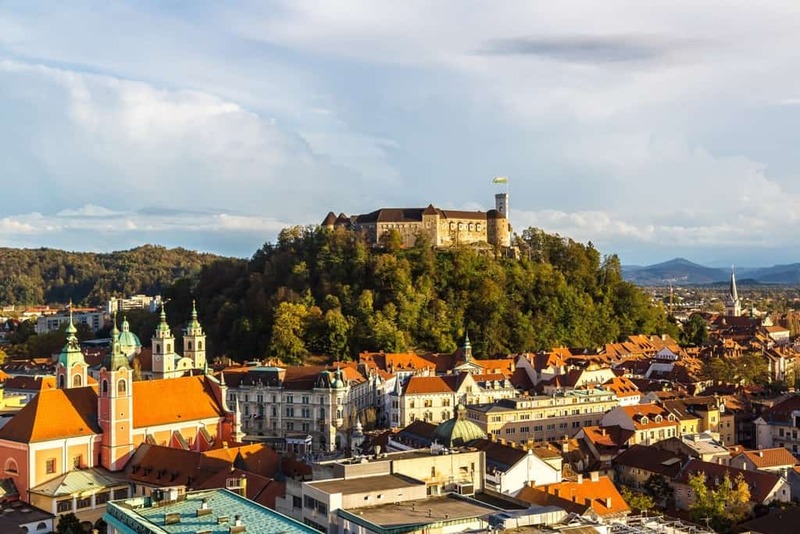 If you’re looking for some day trips you can take from Ljubljana, there are few choices you have. Below you’ll find some of the best day trips you can consider taking. 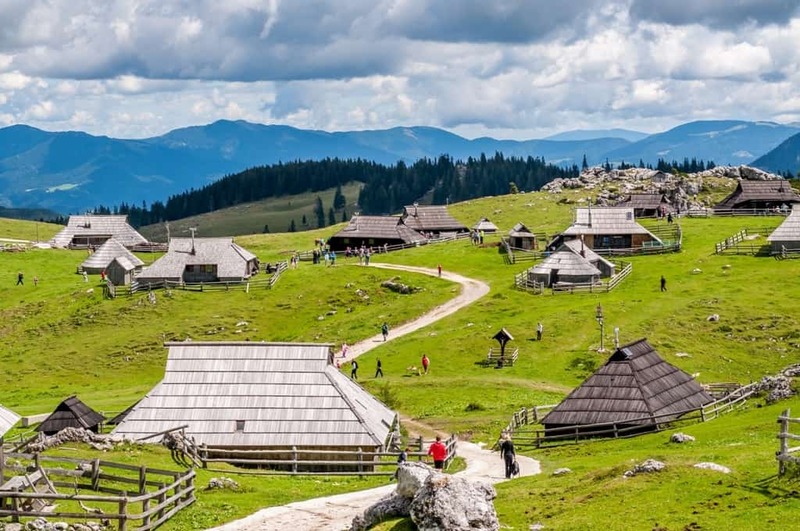 Velika Planina is a herdsmen settlement situated right above the city of Ljubljana. Here, you’ll discover numerous huts and structures scattered across a huge hill that house the herdsmen and their cows during the summer. 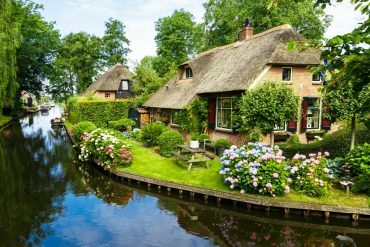 These structures are known as well for their architecture which features slopping roofs made out of fragrant pine shingles. In the summer, the area is transformed into a life as the herdsman and cows live there. There is an interesting museum you can visit, you can see the traditional costume the herdsmen wear and buy dairy products that they make. In addition to this, you can also taste a typical meal in one of the traditional restaurants on the mountain. This Slovenian lake is just a short distance from this city. Lake Bled is an incredible natural wonder located in the middle of the Julian Alps and is the perfect place to take photos, go hiking, or just to see a beautiful spot of nature. It features a small island in the middle of the lake as well as an ancient castle you can visit. Postojna Cave is one of the largest cave systems in all of Slovenia. Its stunning forms were created by the nearby Pivka River when it flowed through it. This destination will allow you to explore this massive natural structure that’s filled with winding passageways and towering stalagmites. You can hop on a small train that will take you slowly through the cave so you can experience everything it has to offer. Tickets are needed though if you want to view it. 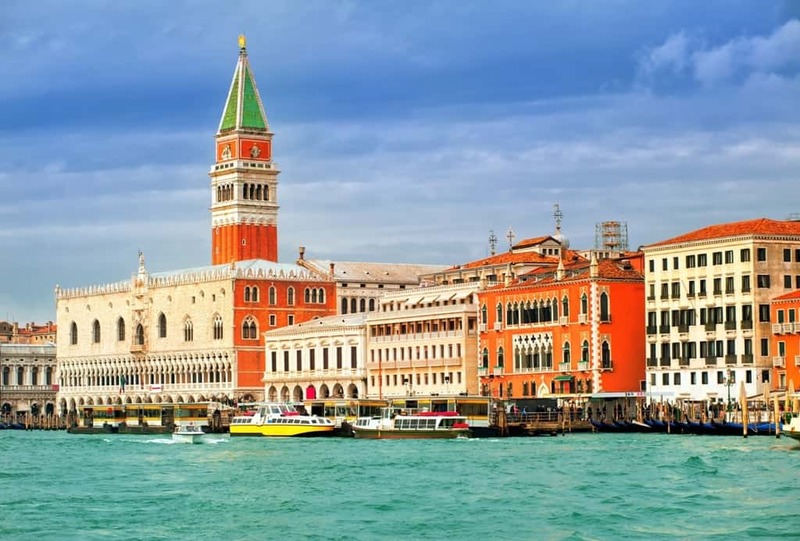 Located only a few hours away, the Italian city of Venice is a marvelous destination to venture to for the day. 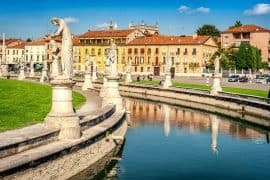 Packed with history, Venice is the perfect place for art and culinary lovers to explore with its large amount of museums and cafes that rest beside its peaceful canals. I stayed at the Hotel Park while in Ljubljana. 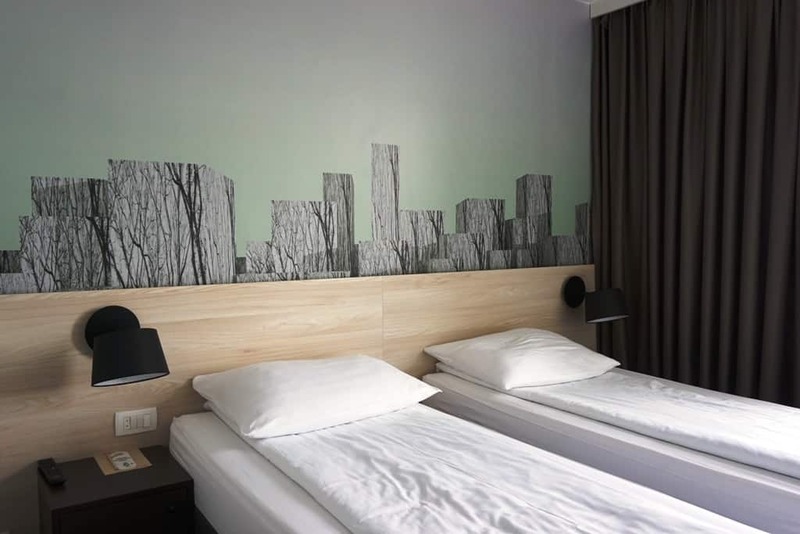 This contemporary-designed hotel is located at the heart of the city and has a stunning view of the nearby Ljubljana Castle. 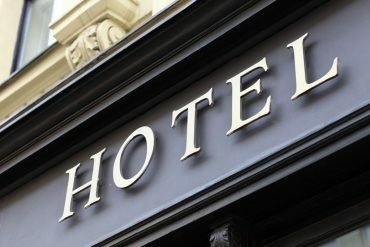 The eco- friendly hotel offers many helpful amenities like free Wi-Fi , a lovely breakfast and a nice restaurant. 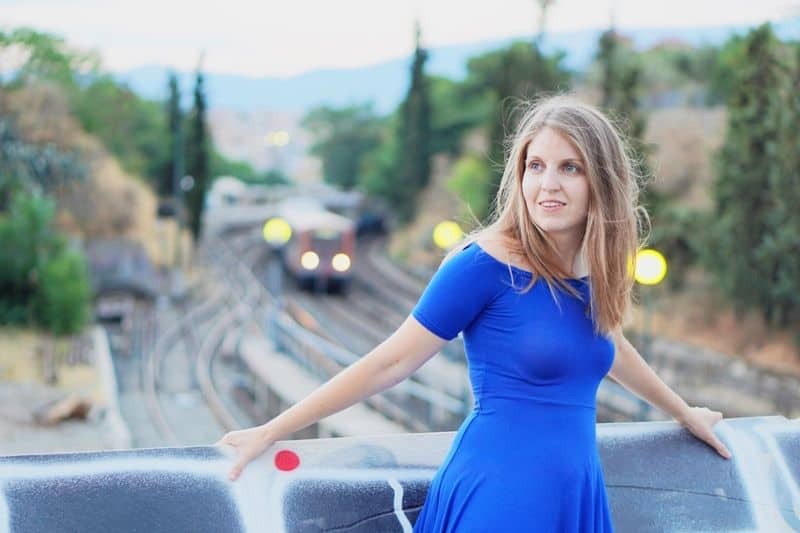 You can also check The best Airbnb in Ljubljana. 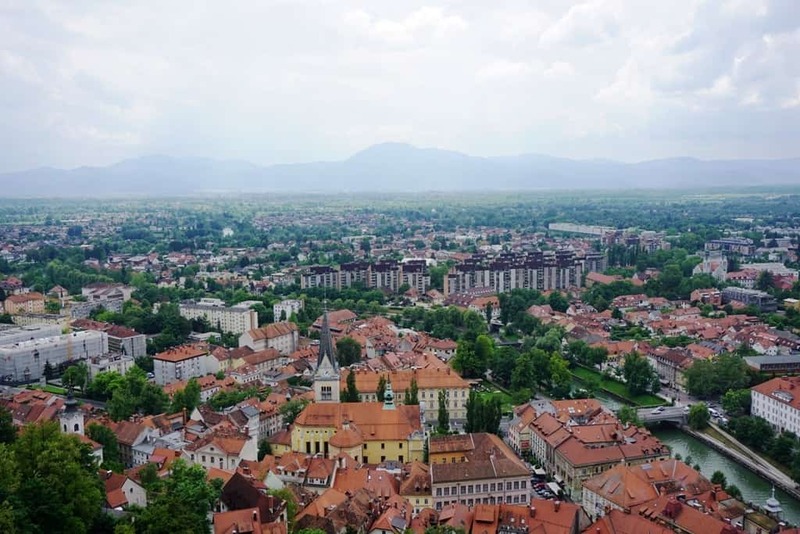 One of the easiest ways to get to Ljubljana is by plane, especially if you’re in a destination much farther away from this city. From Europe, most plane rides take only a few hours, sometimes less. Planes land at the Ljubljana Jože Pučnik Airport which is just a few minutes away from the center of the city. Another great way you can get to this city is by bus. I used the FlixBus which took me all the way from Vienna to Ljubljana. The air-conditioned buses are spacious and provide plenty of legroom. You’ll also find that the seats are comfortable and there are some helpful amenities you can use, like a small table where you can place your things, free Wi-Fi for your devices and plugs if you run out of battery. 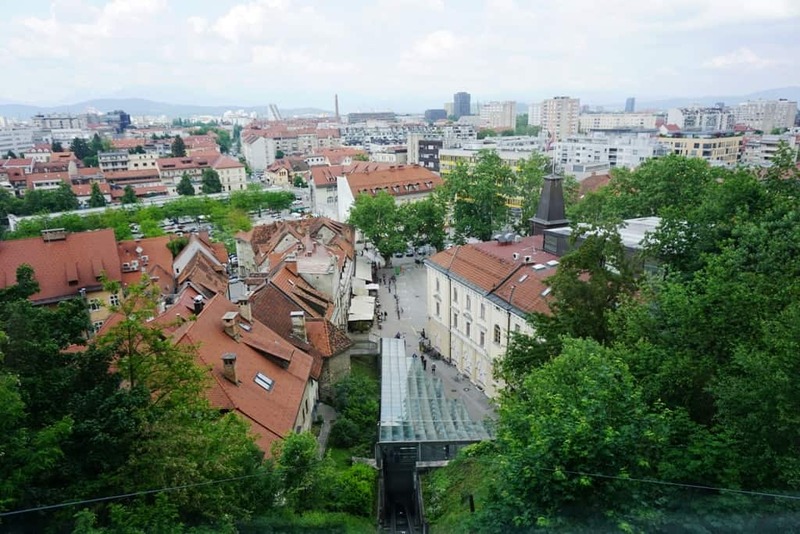 Visiting Ljubljana by train is also a great transportation method. 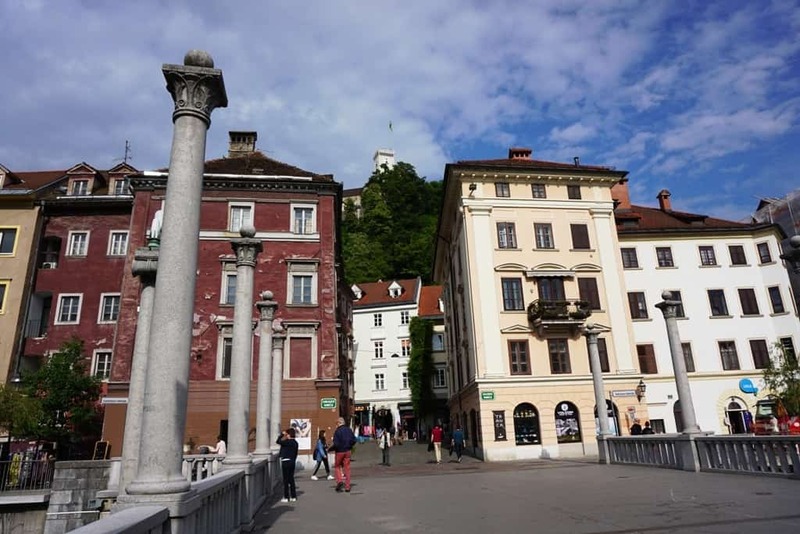 Slovenia has plenty of train routes that connect to each other in order for people to visit Ljubljana. You’ll also find that the trains can take you to neighboring countries in case you want to take a day trip to them. All trains to Ljubljana enter and leave the city at the Ljubljana Station. Ljubljana is a magnificent place for any person to visit. It’s packed with history, beautiful buildings, and a delicious cuisine, all of which is sure to amaze you. If you’re looking for a unique place to explore, definitely consider Slovenia’s capital city. 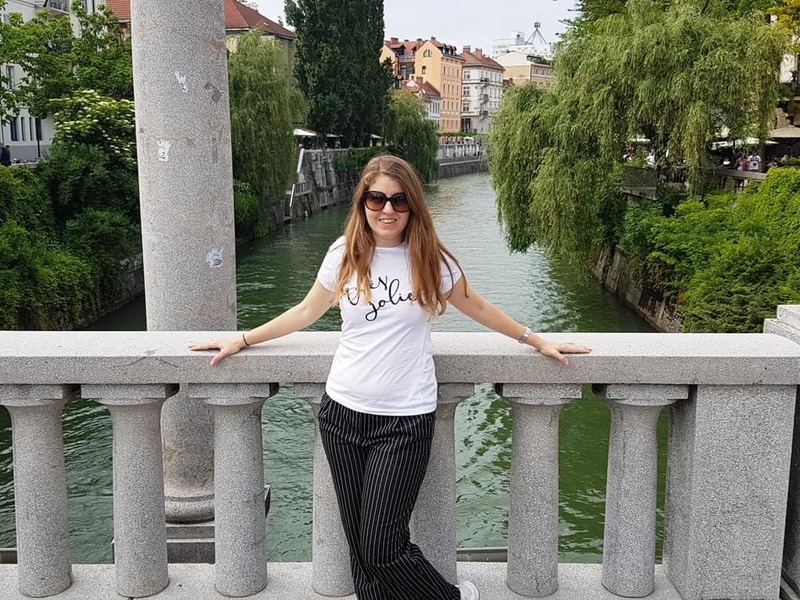 I was a guest of Ljubljana Tourism but as always opinions are my own.